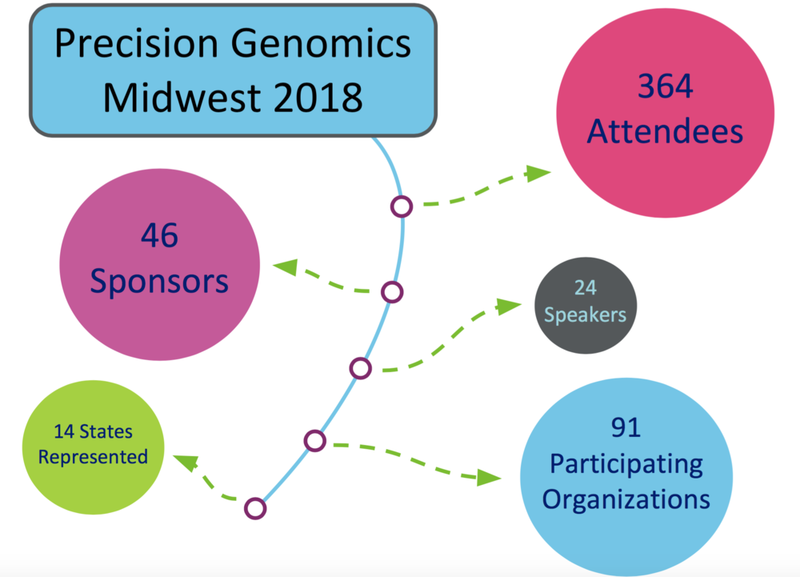 Please join us May 10, 2019 for our third annual Precision Genomics Midwest—the region’s largest genomics conference. PGM features talks by thought leaders in research, clinical, and translational genomics…and a top-quality vendor fair, showcasing the field’s leading-edge products and services. With special sessions this year in Cancer Genomics, Cell-Mapping Informatics, and New Genomic Technologies.